Driving In France. Inspiration and all the help you need for a perfect trip. Driving in France is a wonderful and worthwhile experience. This page is here to help you plan your own trip and is updated often. However, if you’re looking for a quick reference guide to the French road rules I have a free PDF with a summary of the information on this page. This has been updated to meet the new regulations as at July 1st 2018 Click here now to download. Now, with that out of the way shall we continue? 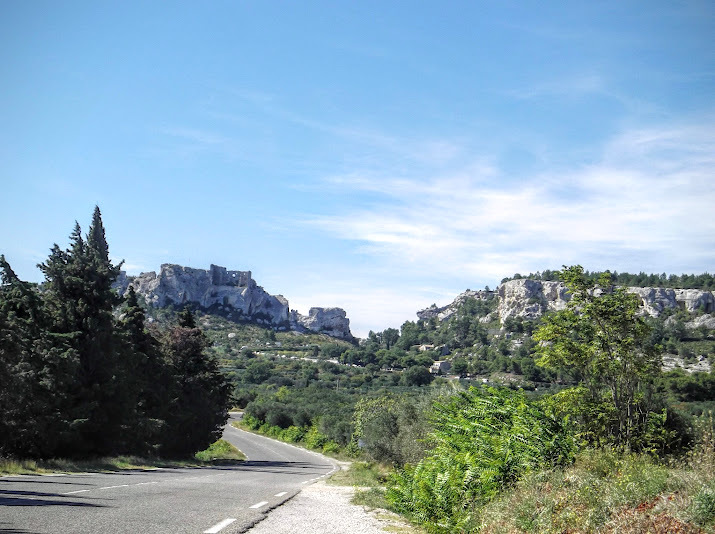 Let’s start with my personal opinion about why it’s worth driving and exploring the French countryside, starting with the fact that the roads are brilliant whether you take the motorway or the old roads. Personally, I’m all about the latter. The landscape is diverse and the true regional culture cannot be experienced on a motorway! As you may know in 2013 Lola and I took Clancy, the old Peugeot 504 with 1 Million KM on the clock, off for another trip; this time driving to France to raise money for MS. When I first spent endless hours planning the route we would take it had us departing the UK, driving in France, Spain, Italy and Switzerland with the possibility of a flirt with Austria. Unfortunately our circumstances changed somewhat and in order to complete the trip safely and in a much shorter time, the places we visited changed. The route we eventually took meant that most of our time was spent driving in France rather than reaching the other European countries and in hindsight I may have been a little bit mad to go as far as I’d originally planned with Lola being so young. It just means that we have lots more adventures to embark on in the future! I’m very pleased to say that we completed that trip successfully and now the book which takes you on the journey with us, including routes and descriptions of the places we visited is available with sales contributing to my ongoing fundraising activities for MS. Now I’ve got that out of the way let me tell you what to expect on the rest of this page. Along the way I have included some of my own favourite things about driving in France. I hope you enjoy! Toll free driving is a passion of mine, I don’t mean getting on the motorway and racing to Spain, I mean really touring on the back roads and enjoying the experience. I opened this post talking about my preference to the old roads and there is a reason for that, you see 75% of the people who read this will likely be in the get there as fast as possible club and I’m here to tempt you otherwise. You may be searching for information about the driving regulations in France, perhaps the tolls or even which side of the road you should be on and yes, I can provide all of that information (and I do here) but this isn’t only a how to guide- it’s also a how to enjoy it guide. Apart from anything else, while Lola and I have stayed on various French campsites and talked to other families the common theme is the anxiety and tiredness that they talk about. The screaming children and how much the tolls were. Guess what, it doesn’t have to be like that. Travelling with children can and should be a pleasure, yes there are bumps in the road (pardon the pun) but overall it’s a great experience if you let it be. Perhaps you’re passed the children stage but you’re sun-seekers trying to reach the French Riviera, well I have some news for you too. If you’re using a campervan the chances are you’re taking the back roads anyway but if not, stay with me a moment. What makes it special for us? Well, here’s a list to start off with then we’ll get into the detail. Before we dive in let me talk about briefly about French Driving Regulations as you may well be here looking to find out what to expect. When driving in France, the regulations are something you must be familiar with before you go, you don’t want to be hit with a hefty fine and the added complication of a language barrier. As well as the French road rules I have a few tips for you to make things easier, the most obvious? Don’t think of the gendarmerie as your enemy, plan to keep them happy and be compliant throughout. If you’re heading to France on a ferry you will quite likely meet with the authorities when you set foot on foreign soil. It differs from port to port but surely it’s easier to be prepared rather than get annoyed about it? I always keep my high-vis jackets on the front seat where they can be seen along with my documents while we are in the car; of course once we leave the car I make sure nothing is in plain sight to avoid potential theft but whilst on the road, make it easy for yourself. In addition, if you insist on rushing and using the Autoroute I recommend investing in a SANEF tag which will enable you to avoid queues at the toll booths. It’s a small investment and you get billed in the month after you’ve travelled. Stress free motorways – as much as they can be! Of course as well as the generic advice I can share there’s a good chance you’re here looking to find our what needs to be in your driving kit legally. I have written an article specifically about this which you can find by following this link to What Do I Need To Drive In France. Rec ( Recommended). Comp ( Compulsory). The powers that be are sensible enough to give you different French speed limits when you’re driving and depending on the weather, here they are. Now that the formal stuff is out of the way let me inspire you a little with more insight into why I love France. What Makes A France So Special? Let me ask you this, if you are driving in France along a seemingly endless motorway do you expect to see Chateaux? Do you think you’ll have the opportunity to stumble across a little mountain top village with the best hot chocolate you’ve ever tasted and drink it surrounded by stunning architecture? Many people may think of France with Paris springing to the forefront of their minds but my oh my, there is so much more. The culture of Paris is of course completely different to that of Brittany, Provence or Aquitaine so why only visit the capital? Each region holds it’s own style with the foods and culture often being directly related to the climate and geography. To drive through France on the back roads is to take a glimpse into the places the tourist books don’t tell you about. Lesser known regions are hidden gems and not to have tourism thrust in your face is a pleasure. What can I say, as diverse as the culture, the landscapes you are lucky enough to see in this vast country while on the road are stunning and sometimes unexpected. I write about this in my book and the reason I am so inspired to explore further and share the things I see with you is because at times your breath can be taken away – quite literally. I mean, if a three year old can say, “Wow, that’s stunning” in awe of what surrounds her (yes she’s picked up some vocabulary from me) surely a diversion from the beaten track is worth a try. From the purple haze that shimmers atop the Pyrenees as the sun rises over the Mediterranean, to the white sandy beaches of Brittany delivering a surprise at the end of a dusty lane there is much to be appreciated and absorbed. Of course, the sunflowers, the lavender in Provence, the Chateaux and forts deserve a mention; but whilst beautiful, they are just a dot on the landscape of a much bigger canvas, one which is waiting for you to fill it with visual memories to last you a lifetime. What do people have to do with driving in France? Well it possibly depends on what you’re driving but when I am on the road with Clancy we get a lot of attention, from mad Frenchmen jumping out in front of us to those crowding around the car when they think I’m not looking (or perhaps they don’t care) the people you meet while you are on the road only enhance the experience. Of course, you have to let them and if you are blinkered in your attempts to break the land speed record to Nice they won’t. Taking the time to get to know people while you are travelling anywhere, not just driving, is hugely valuable. Perhaps I’m just nosey but I love to hear about the adventures of others, we do after all learn from experience. A Joy to Drive French Roads. It may be different if you are coming from a country with good roads but for me, driving from England to France it is very simple, I compare English and French roads like this. To disembark the ferry and start driving in France is like driving onto a smooth silk scarf, to drive off the ferry in the UK… well it’s like an old worn patchwork quilt. Even the minor roads far surpass the motorways in the UK. I don’t quite understand why, we have the same ingredients and tools so why is it always such a bodge here? Actually, I do have some thoughts on this following being stuck on a road outside Lyon for 3 hours. They close the whole road and reseal it rather than in sections, and while that may not be practical it does go some way to helping me to forgive the authorities for my tangle with traffic jams. Yes, I know I’m a little mad but hey, you have to see the bright side don’t you, and if the result of a road closure is silky smooth roads I’m happy. One piece of advice I have for you to make your life easier if you decide to take the autoroute when you are driving in France, is to get a SANEF tag for your windscreen. It means you don’t have to stop to pay at the toll booths and will be charged upon your return. A life saver if it’s busy while you’re on the road. Simply visit the website in the link above, set up an account and wait for your tag. It is a brilliant service and takes away any anxiety of whether you have enough cash or if your card will work at the toll booth. You just go to the lane with the big “t” as a logo and the barrier will scan your windscreen and let you drive on through. French road signs are great. Once you are familiar with them it is hard to get lost, they give you plenty of notice of towns ahead and in city centres they keep it simple. Toutes Directions or Autre Direction will see you right if you’re stuck, follow that sign and you’ll get out of town – yes it really is that easy. This means that you will also very likely find accommodation if you need it because nine times out of ten motels are located on these roads on the outskirts of the towns. I tested this a couple of times last year and it worked fine! Hooray for great road signs. The Camargue, Provence. Keeping up with with the locals. Yes I know I just told you how easy it is to navigate, what I mean here is getting lost on a little adventure. Have a map, you know one of those on paper (Michelin can’t be beaten) and just explore. Play the left right game, grab a baguette and some cheese and go for it. This, in my opinion and my father’s (he’s done a bit of driving), is the best way to see any country and yes, I do it here in the UK and also did it in New Zealand and Australia. Exploring France by road is perfect as there are so many hidden nuggets, down under it’s a little different as you can cover miles and hours without seeing a soul but either way it’s exciting and fun for children and adults alike. Planning a research trip or driving holiday in France is one of my favourite things to do. I spend hours looking at my maps reading about history, food and anything else I can get my hands on – but the best bit is pulling it all together with little route cards. It would be great if I could spend my whole life on the road but the reality is that it isn’t going to happen and if I am honest, I like my home base these days. With that said, taking the time to plan and research allows us to extend the holiday and share it with the family and my readers. Lola joins in with me and often the question of “do they sell croissants and ice cream” is the qualifying factor but the added benefit is that she is continuously learning with me. Today, we’ve talked about volcanoes and mountains and we get to research where we could actually see those. What a great education for her don’t you think? You see being on the road in France, or anywhere else for that matter is a chance to bring your family together, to create memories and learn together. The planning is all part of it. Will You Be Taking to the Road Soon? Let me close by saying everyone is different. 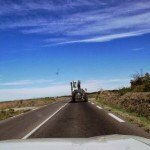 I hope that whatever your preference is you have enjoyed this post, it’s intended as an introduction to driving in France, and of course there are links to more useful information rather than just my opinions throughout the article. I am here to encourage, inspire and help you plan your own trip or even a move overseas – I welcome any questions you have either via email or the comments box. If you’d like me to respond personally or help with your planning, just drop me a line to emma@livinglavidalola.com with the subject line reading “Driving In France“. Additional Resources – Country Specific Embassy and Government Details. NB: These resources are being further researched and more countries will be added in due course. You may also wish to sign up to my mailing list in order to receive notifications of free publications and my book which will talk further about driving in France.